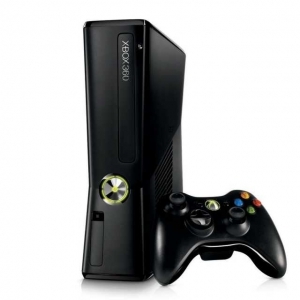 xbox360 is a great game console. It could be better but it’s still great. The thing that catches my eye is the menu screen. The menu screen is separated in 4 blades,xbox live,games,media,system. You can have more fun in the menu screen then you can playing games. things,but to do that you have to buy microsoft points. You can buy microsoft points by using your credit card on the menu screen or by paying cash in walmart and other stores like that. There are two xbox live account which are gold and silver. Gold you have to pay like 5 for a month and if you want more time you have to pay more. Gold you get more things than silver. You can play multiplayer and a lot of other stuff. Silver if a free one. You have a gamecard and you can get friends and chat with them but you can’t play online with them. it’s free. you can put videos and songs on it and listen to the songs when you play. You can put pictures on it and it looks so nice. You can not go on the internet unless you have media center edition 2005 and the mce browser hack. you can’t play all the games off of the old xbox. Other than that its a cool system that can play hd dvds or just dvds and the graphics are amazing if you have the hd tv. This console is hundred times better than the old one and i highly recommend that you buy it.